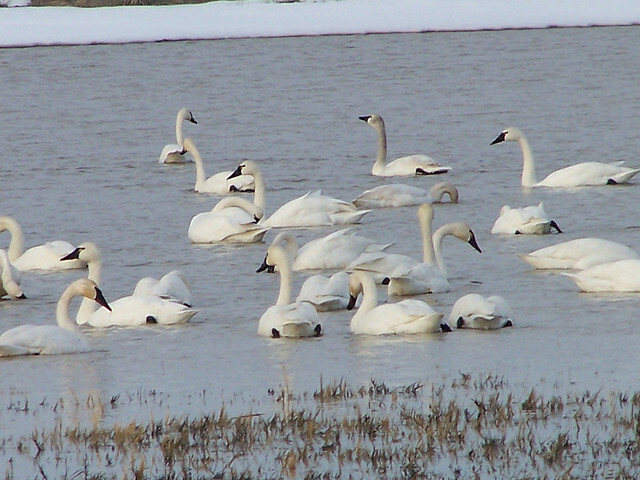 The Whistling Swan and Tundra Swan are sometimes considered one species. The first is found mostly in North America, the second mostly in Europe and Asia. 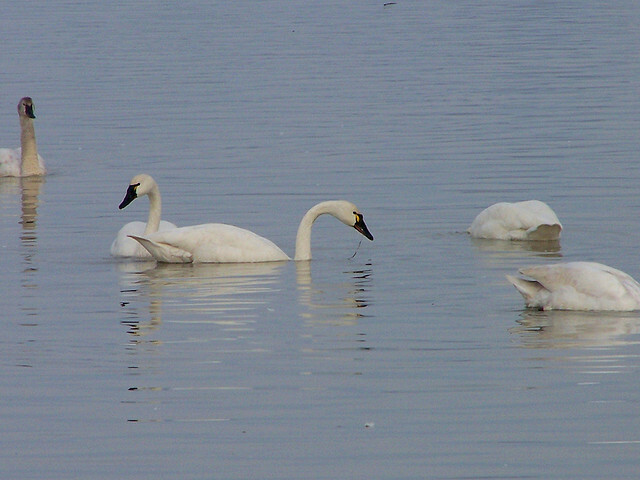 They differ little from each other, the Whistling Swan has an almost entirely black bill with very little yellow.